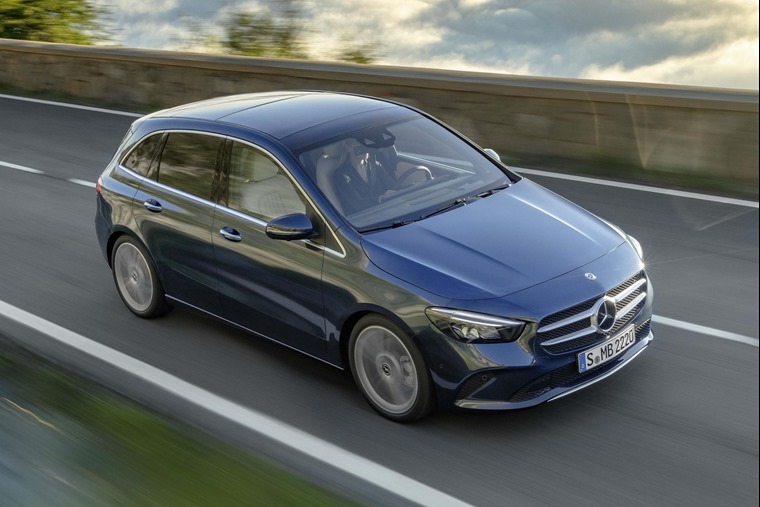 The all-new Mercedes-Benz B-Class will be priced from £26,975 when it arrives in spring 2019, with two trims Sport and AMG Line – available from launch. "More practical than ever, more chic than ever," is how Britta Seeger, member of the board of management of Daimler AG, characterises the new model. Based on the recently updated A-Class, practicality is still the name of the game albeit with a slight move away from the MPV-specific look of the previous edition. 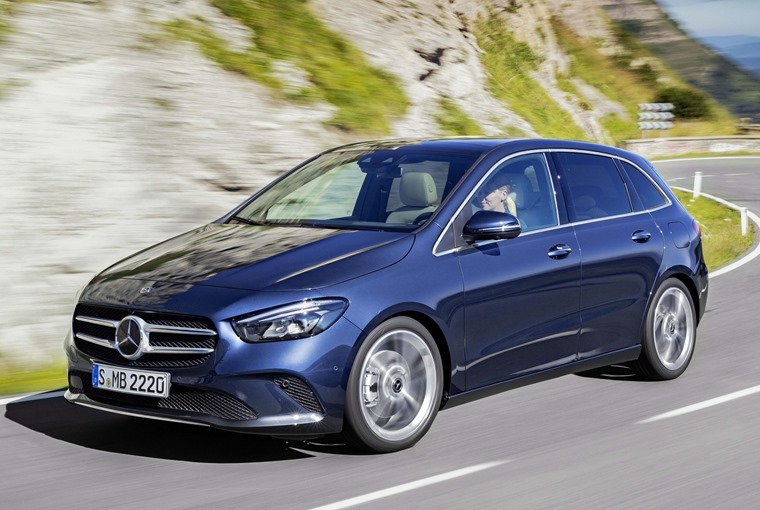 The design brief was to make the new B-Class stand out visually from the world of minivans. Retaining a long wheelbase (2729 mm) with short overhangs, slightly lowered roof line and larger 16- to 19-inch wheels making for dynamic proportions it’s safe to say Mercedes nailed it. Most importantly, it doesn’t lose any space over the outgoing model. Boot capacity can be adjusted from 455 litres to 705 litres. 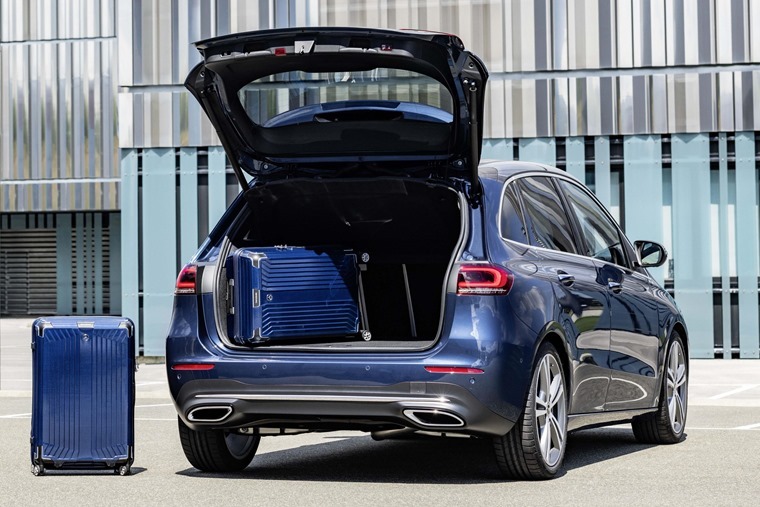 With the rear seat folded down flat and luggage loaded to the roof, that grows up to 1540 litres. The cutout in front of the driver houses the fully free-standing display unit, which comes in three different versions: with two 7in displays, with one 7in and one 10.25in display and, in the Widescreen version, with two 10.25in displays. A head-up display is optionally available. The B-Class gets the same MBUX infotainment system as the A-Class and regardless of size can be operated by voice command, touchscreen, steering wheel controls or rotary dial. The Sport trim line comes with a 7in cockpit display and 7in touchscreen media display; reversing camera; 17-inch ten-spoke alloy wheels; hard-disk navigation; Active Lane Keeping Assist; Speed Limit Assist; black grille; silver painted louvre and insert in chrome; DAB radio; Keyless-Go starting function; automatic two-zone climate control; LED high performance headlights; and spiral-look trim with Artico and Fléron fabric upholstery. Five engines will be available at launch, two petrols and three diesels. The entry-level B 180 has 136hp and 200Nm, and emits between 124g/km and 128g/km of CO2, depending on trim level and wheel size. Up from that is a more powerful version of the same 1.3-litre motor, with 163hp and 250Nm, and the same range of CO2 emissions. The entry-level diesel is the 1.5-litre B 180 d, which has 116hp and 260Nm which emits between 109g/km and 115g/km of CO2. The B-Class will also introduce a new 2.0-litre OM 654 diesel. Available in transverse-mounted form for the first time, it is being offered in two states of tune - 150hp/320Nm, with CO2 emissions of between 112g/km and 119g/km, and 190hp/400Nm (116g/km to 119g/km of CO2). The 2.0 diesel engines come with an eight-speed dual-clutch automatic gearbox, while the rest of the range offers seven-speed dual-clutch. "In our portfolio of compacts, it's the perfect vehicle for the whole family. 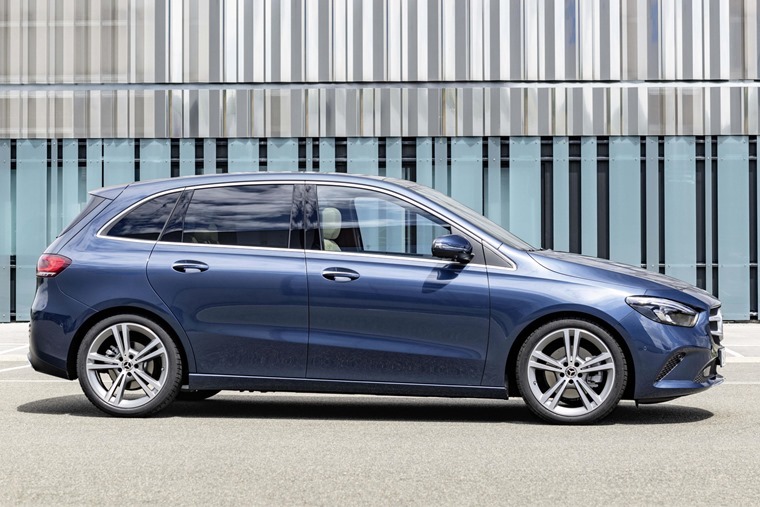 And MBUX – the new Mercedes-Benz User Experience – provides also the B-Class with an all-new customer experience with functions that were previously the reserve of the luxury class," commented Britta Seeger. Lease prices are not available for the new model but there’s bound to be some enticing deals on the outgoing B-Class now this has been announced. First deliveries to UK customers are expected by spring 2019.